CHICAGO–(ENEWSPF)–February 24, 2017. Rugby Illinois is challenging youth athletes to make a difference in their local community and give back to those in need. Local rugby clubs across the Chicagoland area and state will come together, collecting books to be donated to Bernie’s Book Bank. Battle of the Books, challenge started February 14th and ends next week, February 28th, with teams will collect as many children’s books as they can. Bernie’s Book Bank collects, processes and distributes quality new and gently used children’s books to significantly increase book ownership among at-risk infants, toddlers and school-age children throughout Chicagoland. The goal of this program is to raise more than a thousand books to help increase literacy and grow the love for reading. Rugby Illinois teams that will be competing to earn a new set of jerseys for their rugby clubs. Rugby teams throughout the Chicagoland area are be participating. Clubs include: Taft High School Boys (Chicago), Taft High School Girls (Chicago), Lake Forest Harriers Rugby Club, Chicago Blaze Academy (Lemont), New Trier (Winnetka), Montini (Lombard), Chiefs (Naperville), Narwhals (Chicago), Arlington Stallions and Chicago Wapiti. One club so far has collected over 1,700 books to be donated! The partnership between Rugby Illinois and Bernie’s Book Bank on this event is teaching young men and women to give back through sport as well as social and civic responsibility. 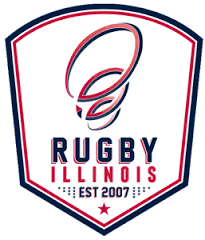 Established in 2007, Rugby Illinois is the governing body for Rugby Union in the state of Illinois at the high school and younger level under the national jurisdiction of USA Rugby and the global jurisdiction of World Rugby. Rugby Illinois is organized exclusively for fostering national and international amateur rugby competition, combating community deterioration and juvenile delinquency and contributing to the health of the youth of Illinois through sponsoring and conducting programs dedicated to the promotion of physical activity and fitness purposes.